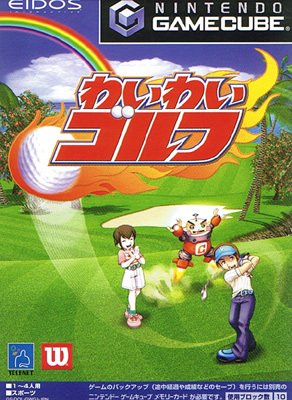 Minna no Golf style graphics with fine attention to detail such as the rainbow after the shower and weather sound effects adding to the uber kawaii look and feel good factor, yet its the unique control system untilising the analogue stick to make shots that makes Wai Wai head the leaderboard. Proper course design with realistic 3D so you can visually judge the run of the greens. And the cussing and yelping of the players helps endear you to the game further. 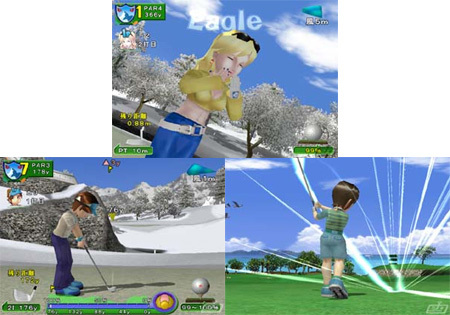 Four player mode with just a single controller too.